Last year my colleague from work was very kind to give me some Shetland Kale seeds she kept that season. I was very excited about the prospect of growing an old Shetland crop and particularly because it would be grown from a heritage variety seed that was lovingly nurtured and saved unlike mass-produced commercial hybrid seeds. Much variation can be found in this cabbage/kale (Brassica oleracea L) and the heart is a lot more open than modern cabbage varieties. 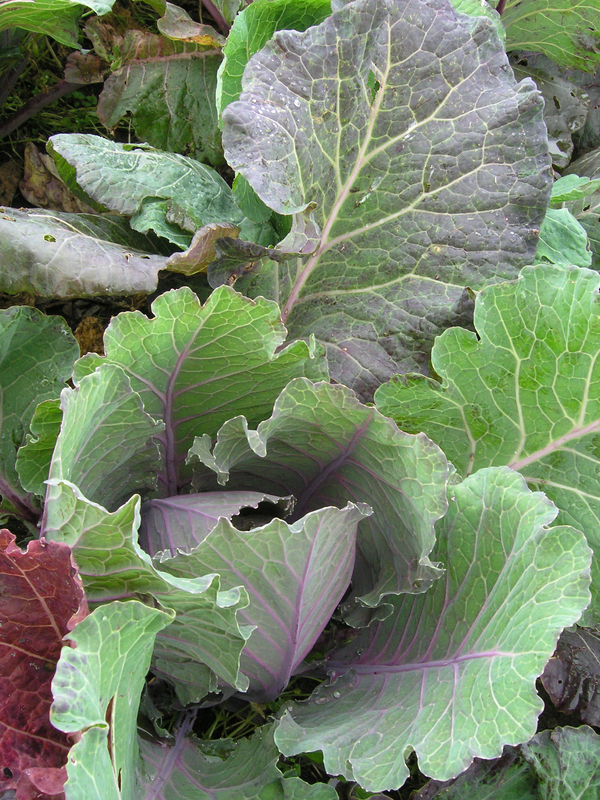 The cabbage has a characteristic peppery taste and is traditionally cooked in a mutton stew. 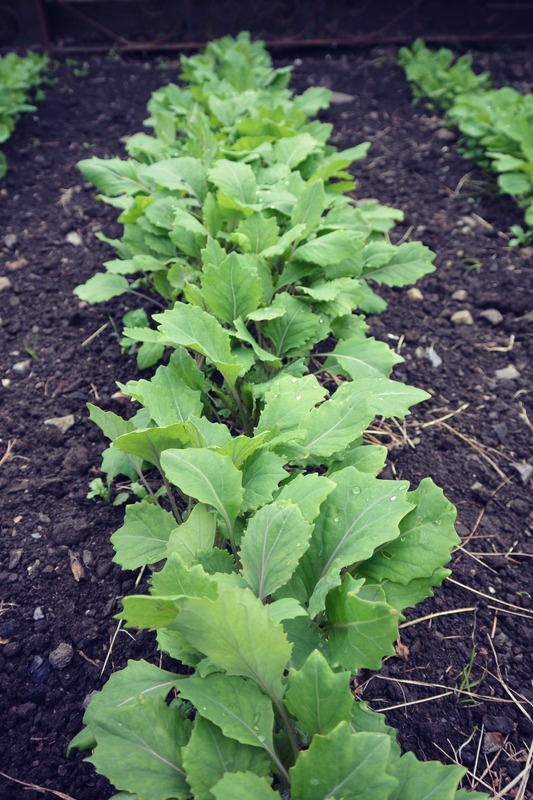 Shetland Cabbage/Kale is the oldest known Scottish local vegetable variety and has been grown on the Shetland Islands since at least the 17th Century. Specific origin details of this landraceis unknown. The outer or dropped leaves were often used as winter feed for cattle and sheep. Due to the extreme weather conditions on the Islands cabbage seeds were traditionally planted in plantie crubs, a small circular stone-walled enclosure. The cabbage seedlings were then transplanted into larger yards also often with stone walls. These structures can still be seen all over the islands despite many being in ruins. In the last 30 years, there has been a steep decline in Shetland Cabbage and competition within other well-known supermarket varieties is further problematic for such traditional varieties. I found out that seed of Shetland Cabbage is not sold commercially and the survival of this, and other, landraces is entirely dependent on growers saved seed. Find out more here. I’m planning to try keep some seed this year if the plants succeed so if anyone is interested in giving it a go please let me know and I’ll get you some seed. 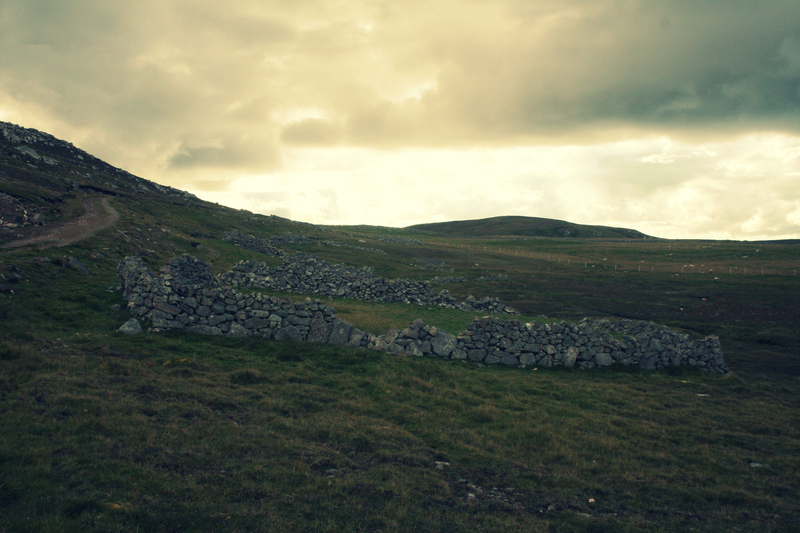 Photo No.3: Silent witnesses to intensive crofting in the past – plantie crubs and kale yards in Culswick. To see this magic place and enjoy a fine walk to Culswick Broch check Walk Shetland.